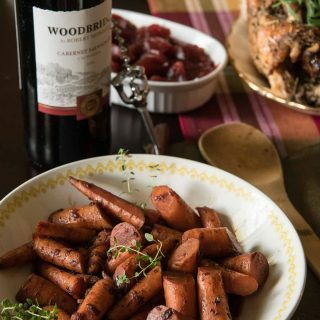 A little sweet, a little spicy, and totally delicious, these Red Wine & Maple Glazed Carrots are about to be your new favorite side dish! The holidays are practically knocking down our doors…how are you spending yours? If you’re like us and have the luxury of going elsewhere, enjoy it! 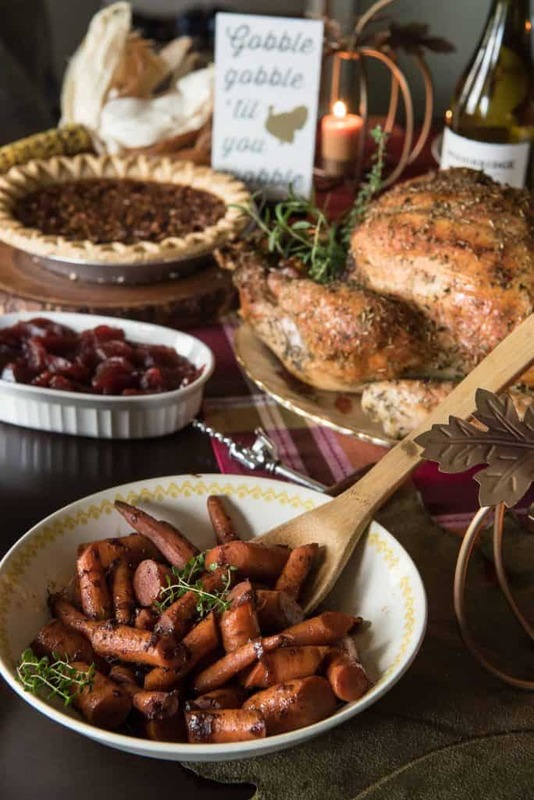 Take a pie (Marie Callender’s can even do the hard work for you! ), pour some wine, help clear the table, and be done with it. It’s a good thing we love leftovers. 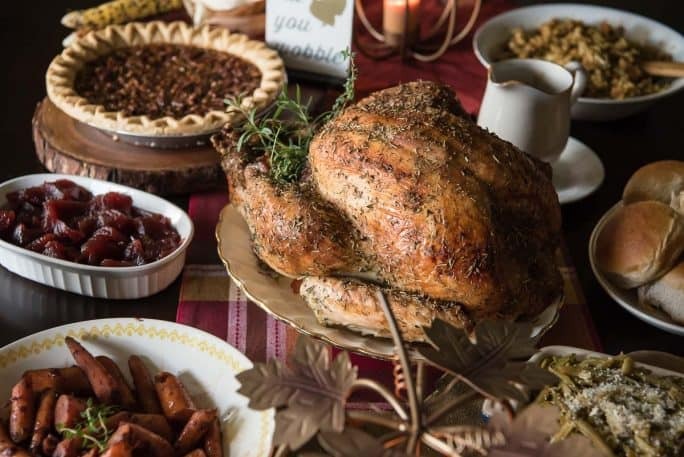 For the purpose of sharing this recipe, I decided to do a little turkey test run…in October. Because – at 33 years old – I had never cooked a Thanksgiving turkey. My husband always bastes the bird – I’m usually in charge of desserts and sides. But I know! 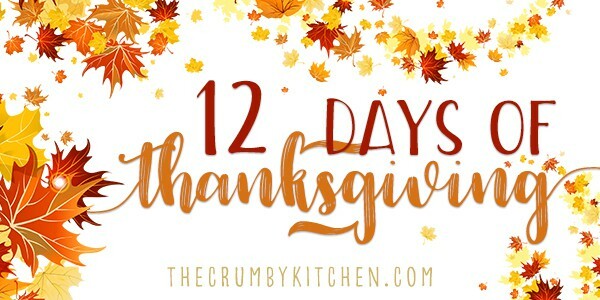 What kind of foodie has never made a turkey?! 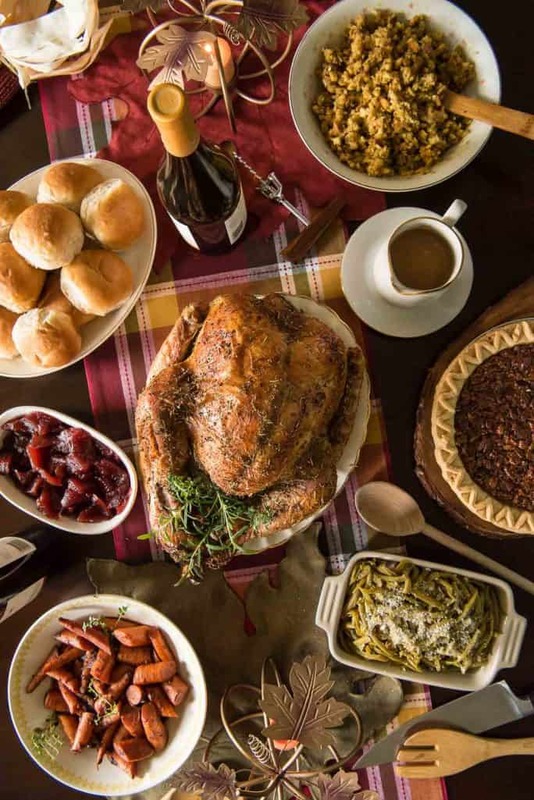 Luckily, Butterball is definitely the number one turkey brand in America, especially thanks to their Turkey Talk-Line. Stressed about how long old Tom is taking in the oven? Shoot them a text (844-877-3456) or give ’em a call (1-800-BUTTERBALL) and never fear. Turkey aside, I’m known for my ambitious desserts, but another thing I’m not afraid of is side dishes. From rolls to Brussels sprouts to homemade cranberry sauce, I’ve got them down. My dinner plate usually consists of 3/4 veggies (with half of that being mashed potatoes,) 1/4 cranberry, and some turkey and gravy on the top. And here I thought I didn’t eat healthy enough. 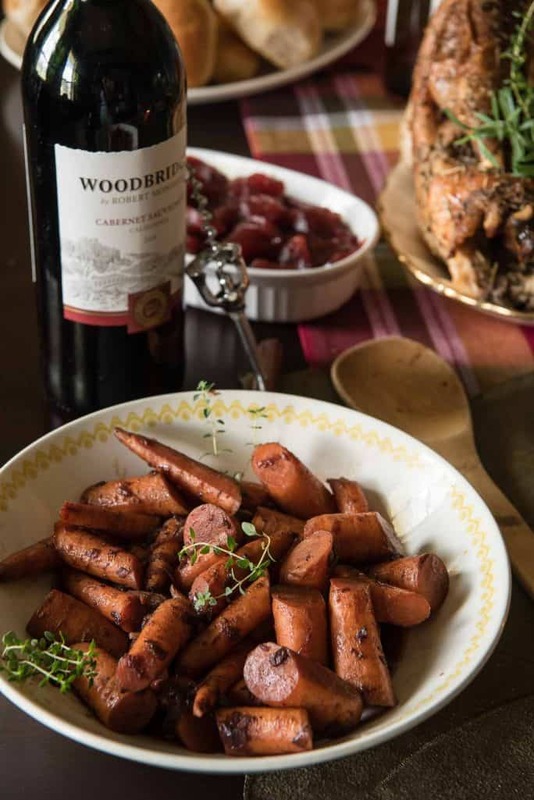 I’ve always loved glazed carrots with any big meal and thought dressing them up with some Woodbridge red wine and a touch of sweet heat might be a tasty holiday table addition. Woodbridge is one of my go-to wine brands for cooking and baking, but I admit to sneaking a glass or two after the bottle is open. 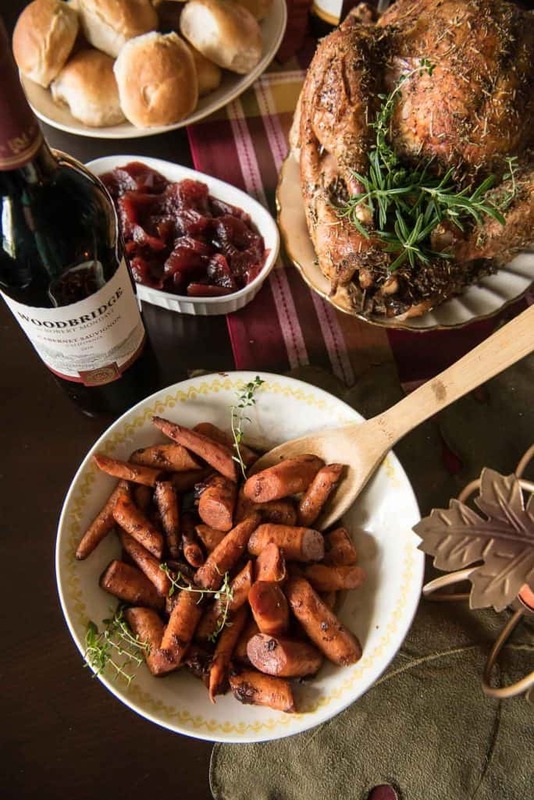 The Mondavi family has been crafting their smooth, balanced wines for over 30 years, and they’re a perfect everyday choice for food pairing, or for simply enjoying with family and friends. I’m partial to reds, and their full, rich Red Blend or warm, aromatic Cabernet Sauvignon simply begs to be used in this dish. 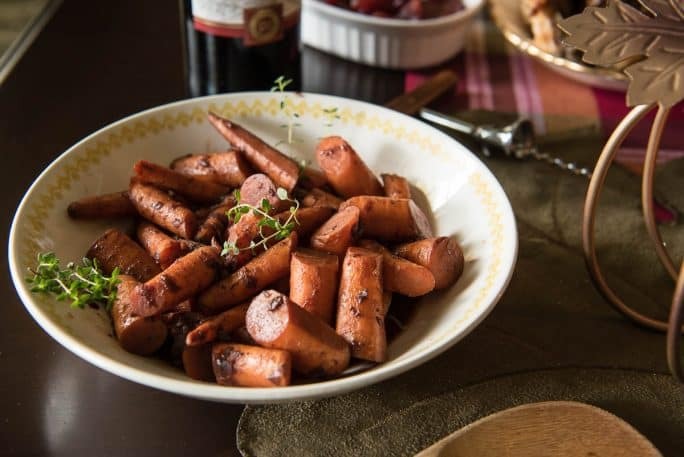 Your favorite carrots (baby, chopped, whole, whatever you want) are paired with shallots and fresh ginger and simmered in a Cabernet & maple syrup sauce until they’re barely tender (unless you like them softer – my hubby loves the crunch.) Seasoned with a little cinnamon & cayenne pepper for a touch of heat, they’re tossed with fresh thyme juuuuuuuust before serving. And the secret to the wine & maple glaze? A little bit of cider vinegar. It not only thickens up the sauce, it adds a really lovely zing to the whole thing. If you like a bit of spice with your holiday dinner, this is gonna be right up your alley. Melt butter in a large skillet over medium heat. Cook shallots, stirring occasionally until softened, about 3-4 minutes. Add fresh ginger, cayenne, cinnamon, salt, and pepper. Cook for 1 minute, stirring frequently. Stir in carrots, wine, and maple syrup. Simmer, covered, for about 18-20 minutes, stirring occasionally until carrots are just tender. Uncover and add vinegar. Cook 3-5 minutes more until liquid is reduced to a thin glaze. Remove from heat and toss with sprigs of fresh thyme. Serve.